Feeling: That headache I mentioned last week is still here. Can you believe it. It really is getting quite wearing now. If it’s coupled with back ache it can mean I’m not the nicest person to be around. I’m going to try some pregnancy yoga and a pregnancy massage this week to try and shift it a bit. I also realised today that it seems to worsen when I’m low on blood sugar, so I think I need to try and eat little and often to keep the sugar levels well, level. Looking: It’s now definitely a bump. It’s popped out hardened up and I ‘feel’ pregnant at last, rather than just like I’ve had a big dinner. Craving: I haven’t really craved anything this week, my appetite is still definitely less than the first trimester where I couldn’t stop eating. I feel full quicker, but I guess that’s bound to happen as Little R-M carries on growing and taking up more room. Sleeping: Much better this week, but having to get up more regularly for toilet breaks. And I’m having some seriously weird dreams, but they’re not waking me up. You’re looking good! 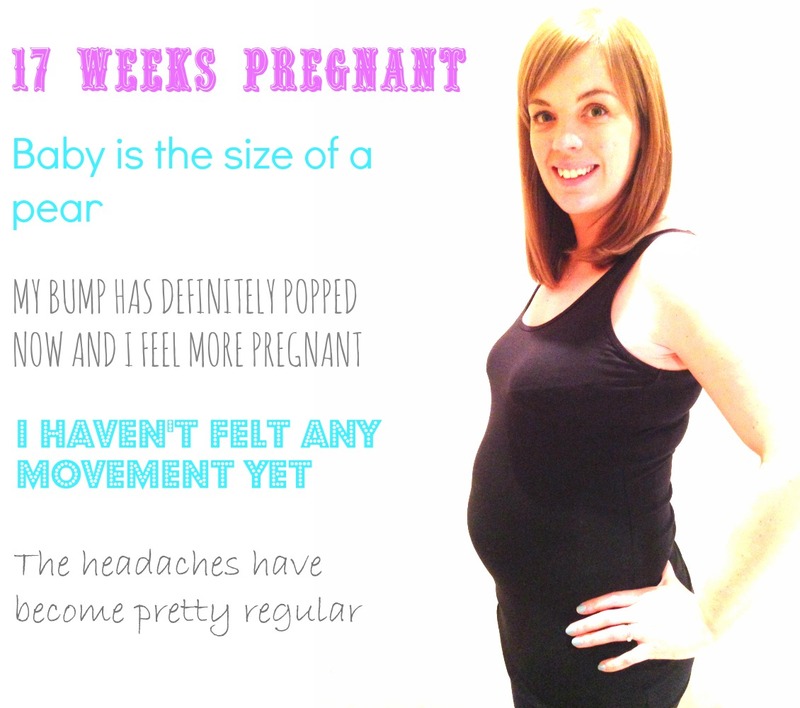 I hope the headaches ease up soon, it’s horrible when you’re suffering and not able to enjoy the pregnancy properly.